GENEVA (AP) — As Charlie Chaplin finished out his long life on his bucolic Swiss manor, the former silent film star worried about drifting into oblivion, his connoisseurs say. 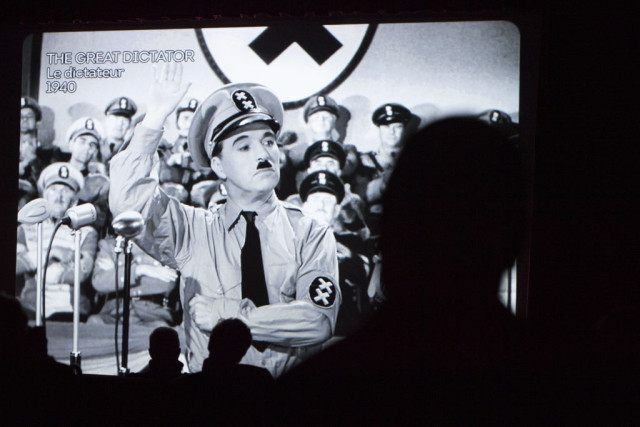 That changes Sunday with the public opening of “Chaplin’s World,” a multimillion-dollar project in the Swiss village of Corsier-sur-Vevey. Its director-general says the museum is the first of its kind in the world to honor Chaplin, and has added value because it’s at a place he called home for years. Working with Paris’ Grevin museum, which is known for its wax figures, managers have displayed a number of figures of Chaplin as well as friends like Albert Einstein and Winston Churchill on the green 14-hectare (35-acre) grounds along Lake Geneva, said Jean-Pierre Pigeon, the Swiss-Canadian director of Chaplin’s World. About two dozen of his children and grandchildren were on hand for a ribbon-cutting ceremony Saturday, which was Chaplin’s birthday. “A place where people can laugh and get emotion: That’s what he would have wanted,” Pigeon said.